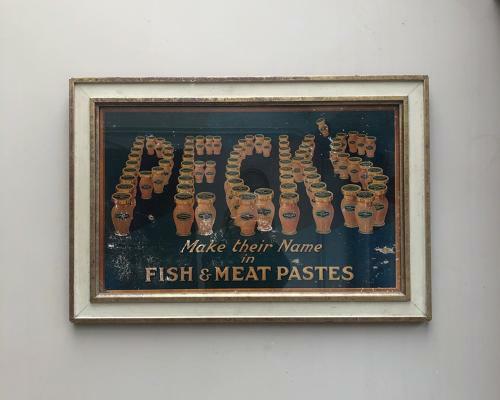 1930s Shops Decorative Advertising Show Card (Large Size0 for PECK'S FISH & MEAT PASTES. The Advertisement has been framed in a later frame (but suits well). There is wear to the card please see all pics. Pecks Paste Pots making the word PECK'S. Great colours.